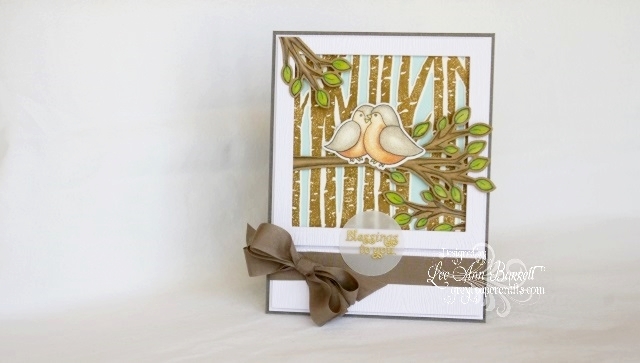 Lee Ann here, sharing a card that is all things nature, including using cardstock that's earth friendly! 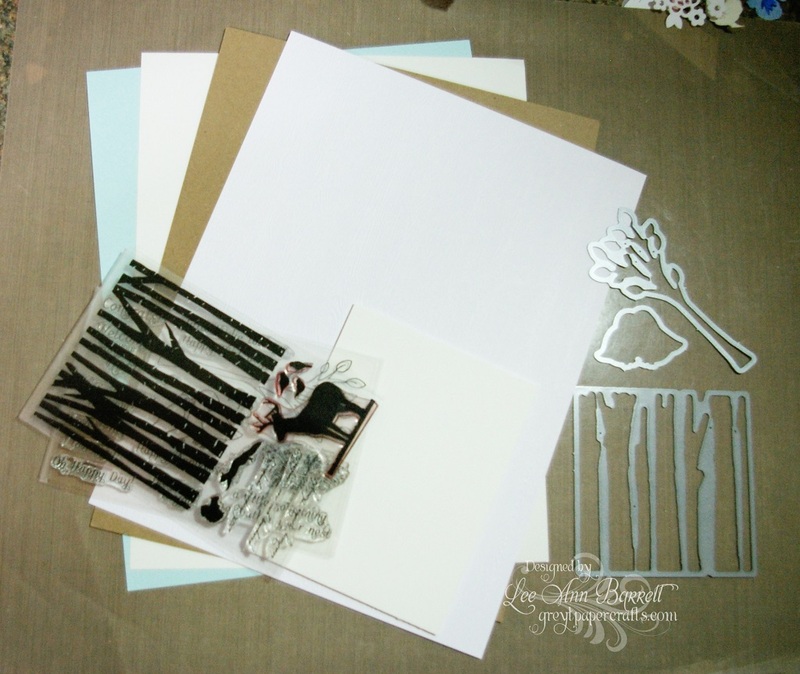 I tend to be a bit of a nature freak, so any time I can include nature images and products on my cards, I do. 1. 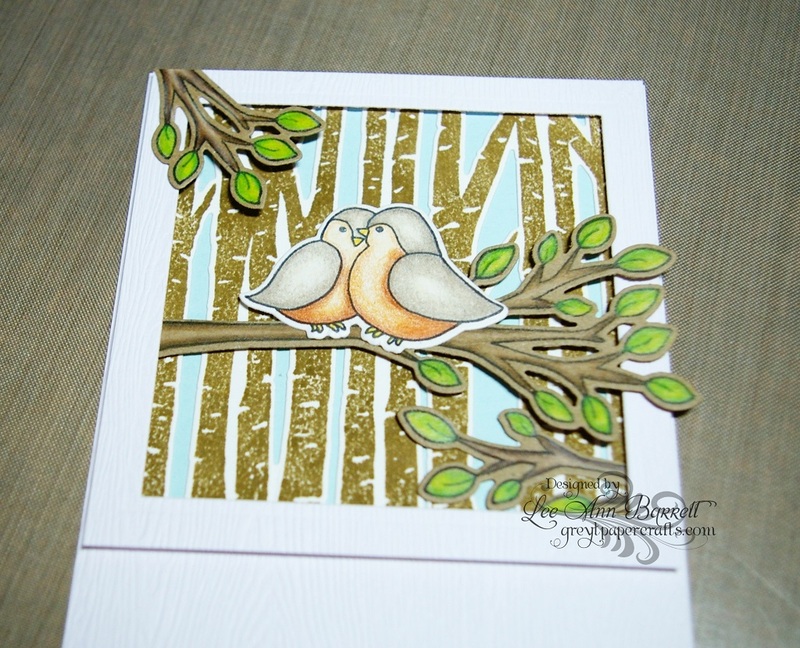 I stamped my background tree image on Savoy 100% cotton cardstock from a bit of texture- earth friendly too! The trees were die cut out and then backed with a gorgeous shade of blue. Berrylicious- from the Poptones Sample Pack. 2. The birds were stamped on Neenah Cryogen White Cardstock for a bit of a sparkle and then colored with Prismacolor Pencils. 3. 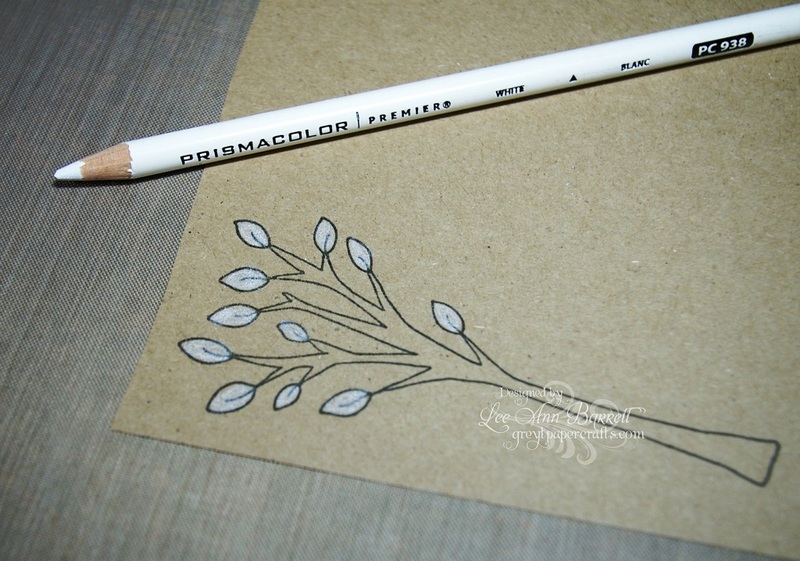 The tree branch was stamped twice on Brown Bag Kraft Cardsock (again, earth friendly!) and then colored with Prismacolor Pencils. To get a true green color on the leaves, they were first colored with a white pencil. 4. Now for my favorite part- I used my Spellbinders Square Dies to make a window to frame my images with. 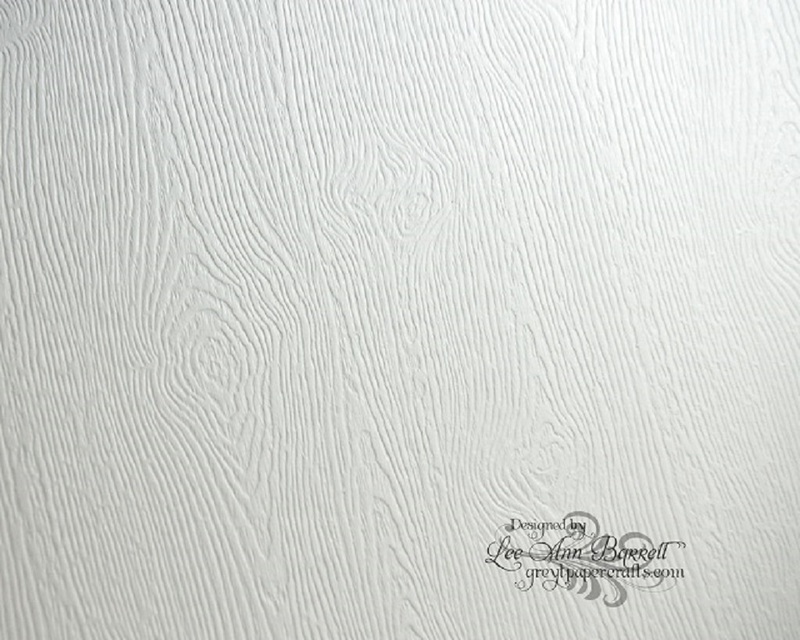 To do this I used this amazing CutCardStock product, Nature Gmund Savanna cardstock, with a gorgeous woodgrain embossed finish. It is truly stunning! 5. I also used this for my background mat. 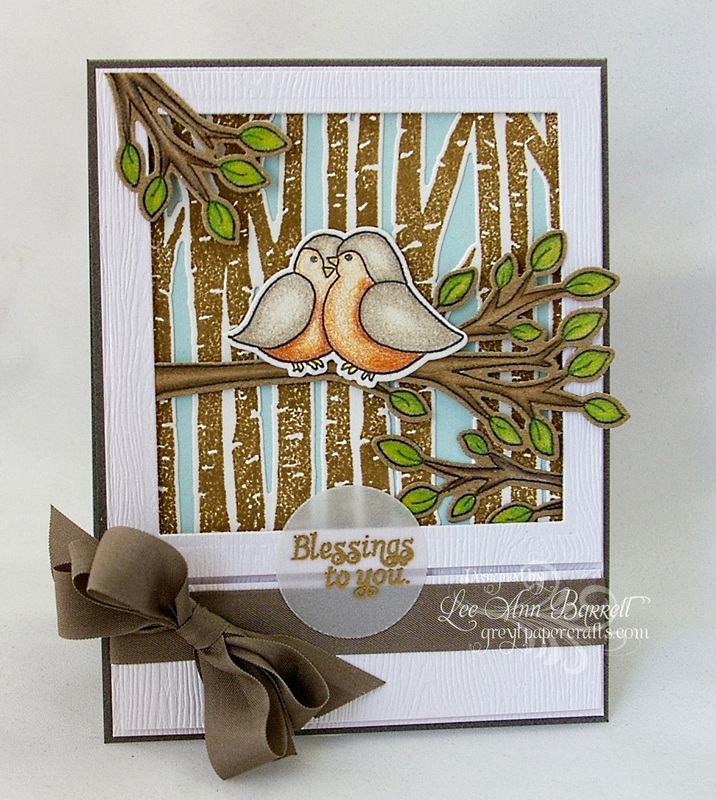 Adhere the window frame square over the background trees, assemble and adhere the die cut trees and bird pieces to the background trees/frame and then adhere this to the Nature Gmund Savanna cardstock mat. 6. Cut one more rectangular piece of the Nature Gmund Savanna cardstock to place on the white mat beneath the window scene. 7. 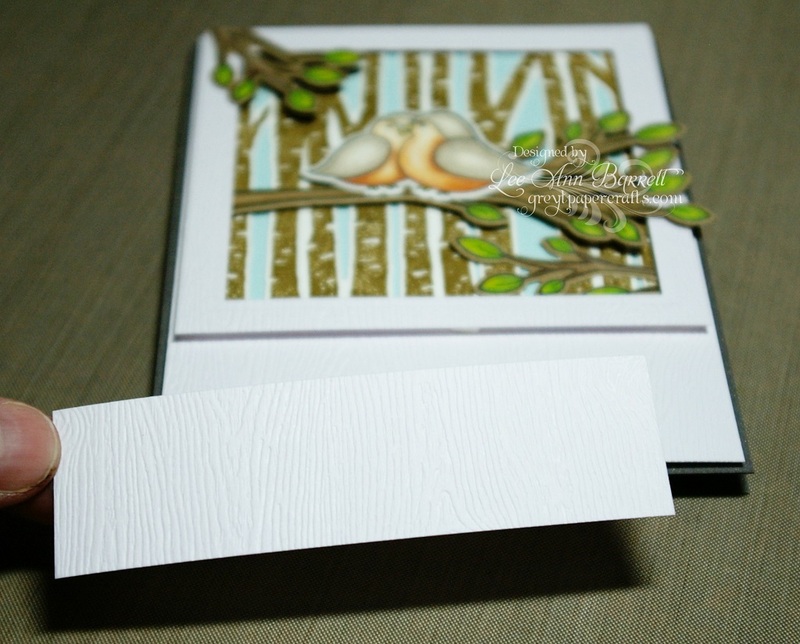 Tie a seam binding bow around this portion of the card. 8. 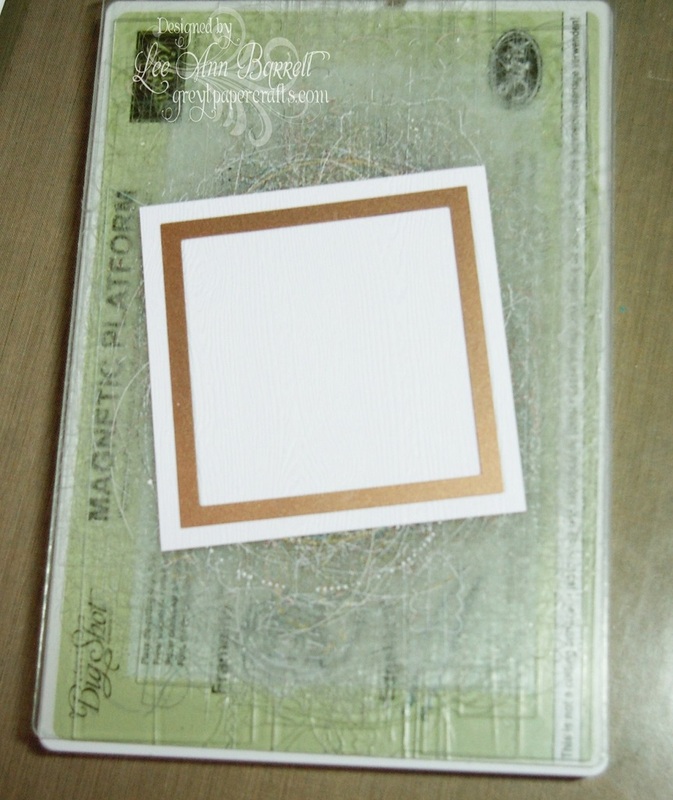 I chose a stunning piece of cardstock from the Curious Metallics collection, called Shadow, to use as my card base. 9. 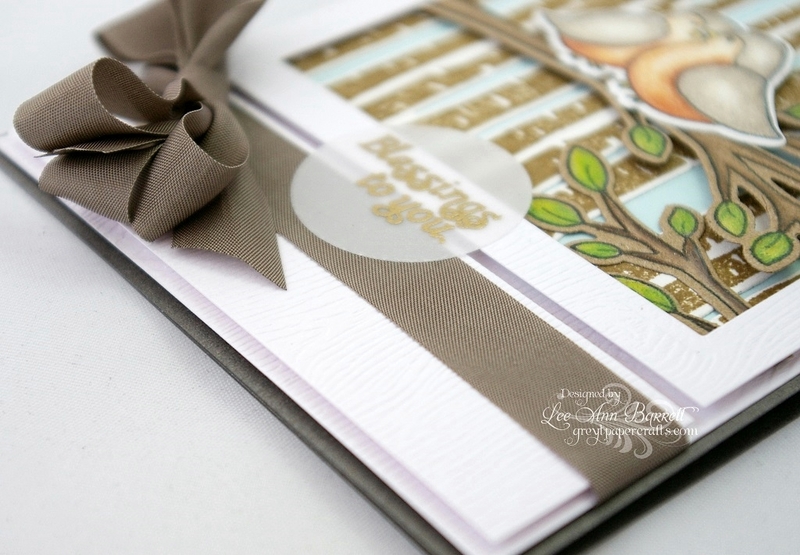 Die cut circle out of Vellum, stamp sentiment in Versamark and heat emboss with gold embossing powder. To prevent adhesive from showing through the vellum, I used my Tombow Mono Multi Purpose Liquid Glue and sparingly applied it to the backside of the vellum, tracing the embossed words. 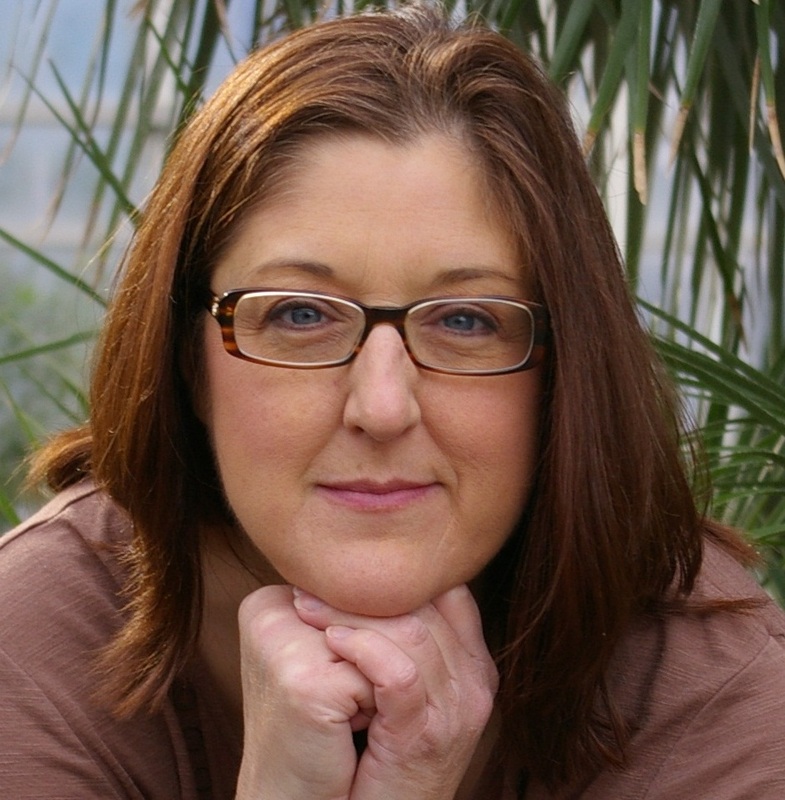 Your card is complete; I hope I have inspired you to create!